This two-stroke, two-speed Levis is a fine example of an early vintage ride-to-work machine. Seat springs were suitable for either 10-12 or 12-14 stone riders – people were lighter in the 1920s! Well, for the record there’s absolutely no connection between the garments (pronounced ‘leave-eyes’) made by Levi Strauss & Co and the bikes produced by the Birmingham Company, whose name is pronounced ‘lev-iss’. The background to the motorcycle and its name has been previously told, but stands repeating because of its almost fairytale character. Talented engineer Bob Newey was working for the up and coming Norton concern, and during one of the boss’s business trips he had the works make a lightweight two-stroke, which he proudly showed to ‘Pa’ Norton on his return. 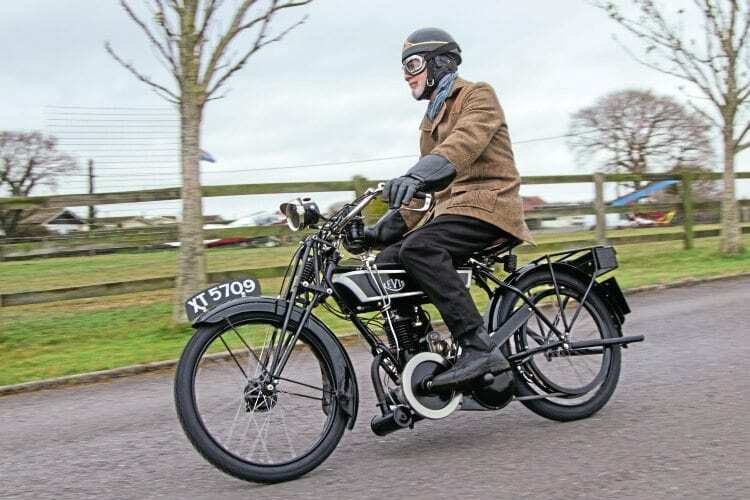 Perhaps unsurprisingly, Norton – an advocate of man-sized four-strokes – was less than impressed, and that could have been the end of the story, except that Newey was courting a girl with the charming name of Daisy Butterfield. Daisy had two brothers who were looking for a business opportunity and, unlike Pa Norton, recognised a good thing when they saw it.